The Electrify America program through the Volkswagen Settlement has begun installing DC fast chargers. While they have not indicated exact locations, the program has indicated that they plan to install DC fast chargers in Kentucky. The settlement required VW to invest $2 billion ($800 million in California and $1.2 billion for the remainder of the U.S.) to promote the use of zero emissions vehicle technology across the country. 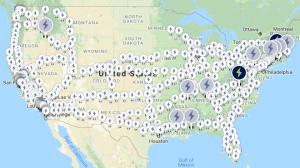 The funds created the Electrify America program. Over a ten year period ending 2027, Electrify America will invest the $2 billion. The funds will be invested over four 30 month cycles.